Equilor Investment Ltd was founded close to 30 years ago, simultaneously (with a few days’ difference) with the re-establishment of capital markets in Hungary and the launch of the Budapest Stock Exchange. It is presently one of the most prestigious investment service providers in Hungary and the region. We provide professional, customer-centric, personalized, and comprehensive investment banking services in domestic and foreign securities and foreign exchange transactions to both our private and institutional clients. 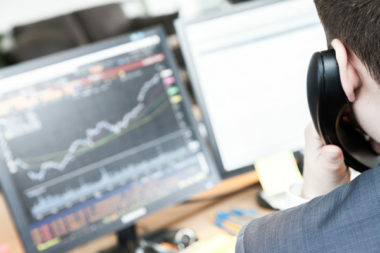 Over the past decade, with our corporate finance business we have participated in numerous significant stock exchange and OTC securities issuances, the organization of syndicated loans, venture capital and private equity transactions, and mergers & acquisitions, on behalf of the key players of the international and Hungarian economy. Our employees are highly trained professionals, many of whom have decades of experience in dealing with personalized portfolio, fund, and asset management as well as private banking and corporate finance advisory services. 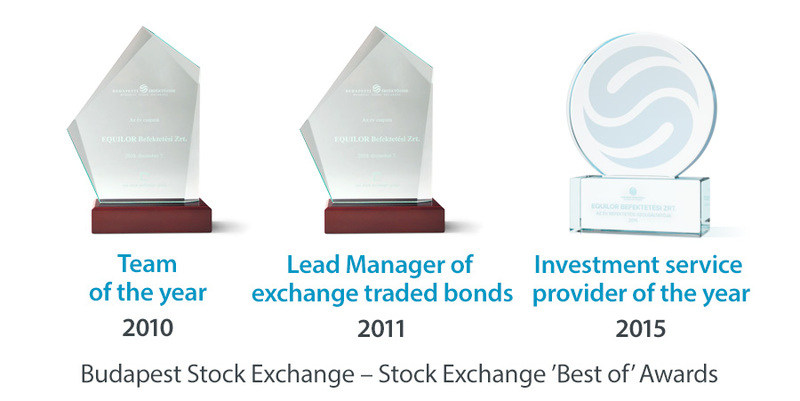 Equilor is a full-fledged member of the Budapest, Warsaw, and Prague Stock Exchanges. Our work and activities have been recognized with numerous awards. Equilor also received the MagyarBrands award, for its work carried out in the Hungarian market, with a Hungarian background. The professional jury of the Budapest Stock Exchange has voted Equilor “Investment Service Provider of the Year”, “Team of the Year”, and “Best Debt Security Issuance Organizer of the Year”. We are well aware that different clients have different expectations as regards returns and the related risks. 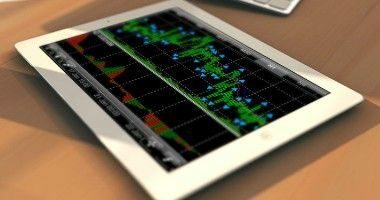 There are clients who are willing to take a greater risk in the hope of higher returns, while others prefer to keep to the tried and tested methods. We at Equilor help everybody make their own personal decisions: we assist our clients as a real partner, in a confidential relationship to choose the form of investment that suits their needs best. Our advisors provide up-to-date and thorough assistance, supported by one of the best prepared analyst teams. Every employee of Equilor does his best to manage the savings entrusted to us with due diligence and provide a reliable profit to our clients. Value creation, trust and responsibility these are our guiding principles that have helped us enlarge our customers' savings for a quarter of a century.